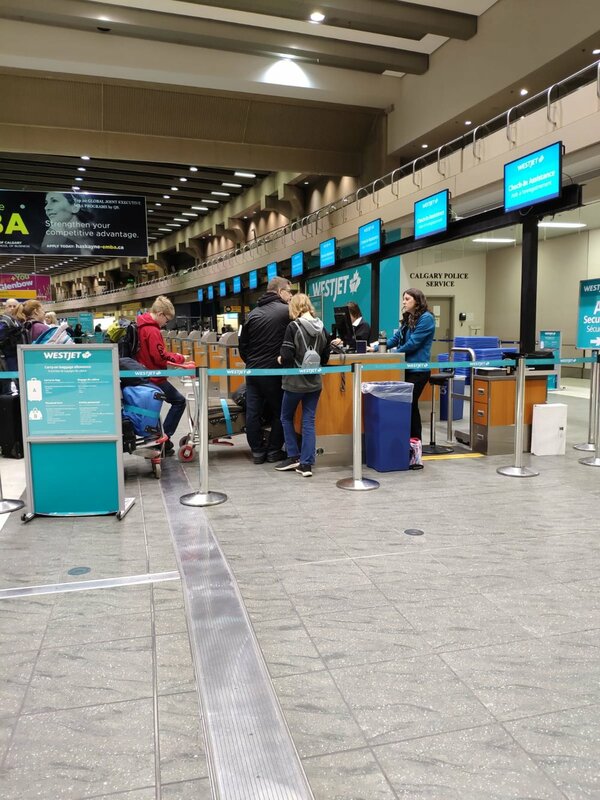 april 4th - And they’re off! Team W would like to introduce you to Orson. He decided to join our team when Todd met him at the pharmacy while picking up meds for Hannah. 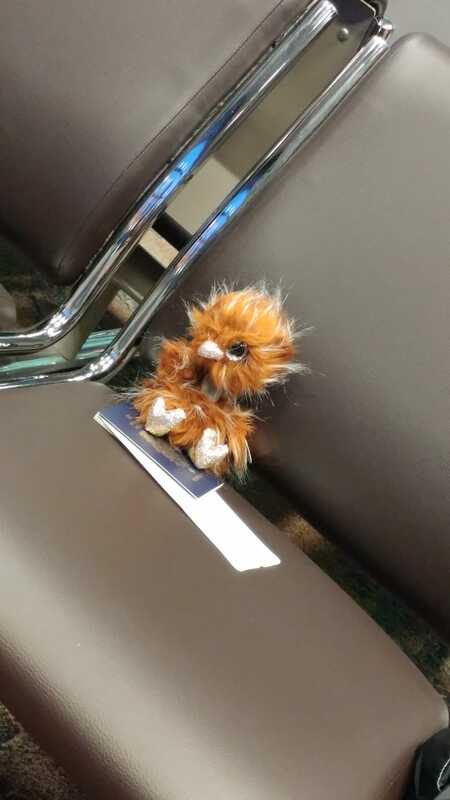 He's been a great travel companion, a little mischievous, but enjoys having fun with our family. A few highlights from our day in Hong Kong. 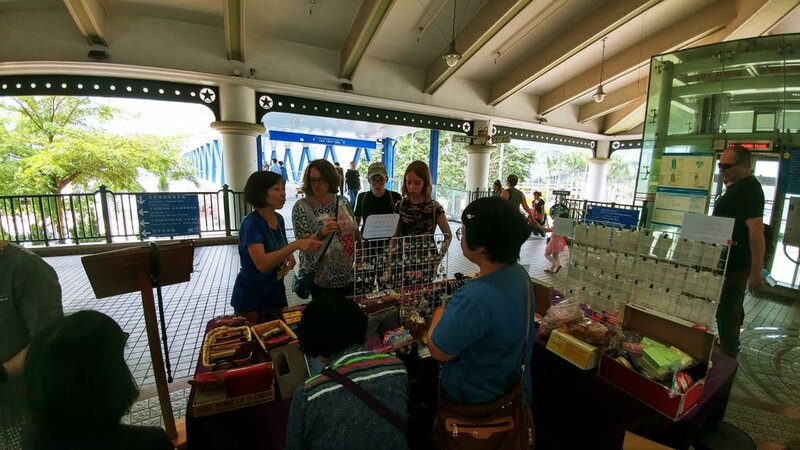 We found a small vendor market on our way back from Kowloon. 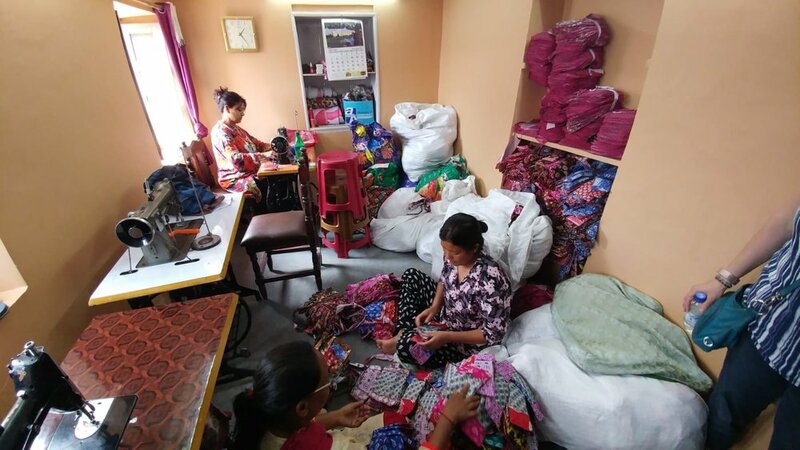 They were an NGO who helped the hearing impaired sell handmade items. They were a delight to talk with. We also had the blessing and encouragement of hearing a street music ministry. My ears perked up when they heard the familiar sound of The Old Rugged Cross sung in Chinese. It filled my soul. 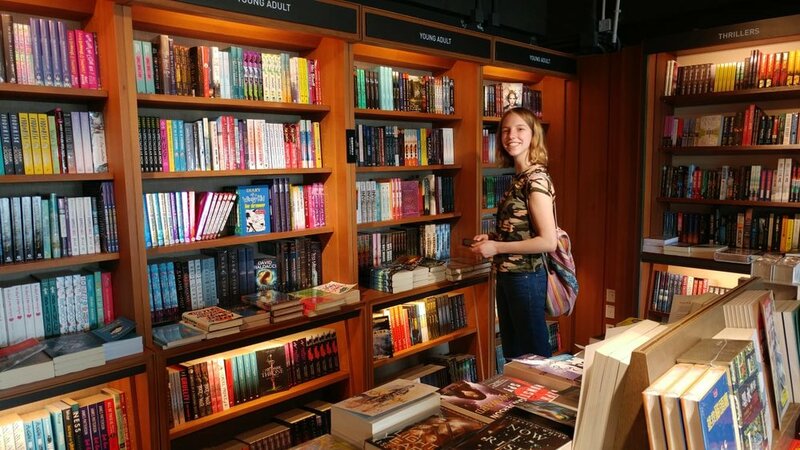 And yes, for those who know Ms Hannah, she was tickled to discover a bookstore with a youth section in English. Lastly, I was reminded during our travels today of the passages in scripture that encourage us to stand out and be different. 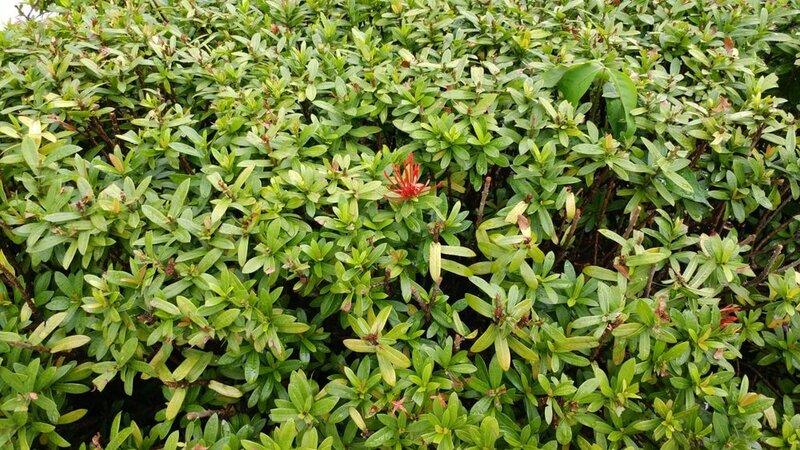 We aren't meant to blend into the crowd, rather, to be set apart and be different. 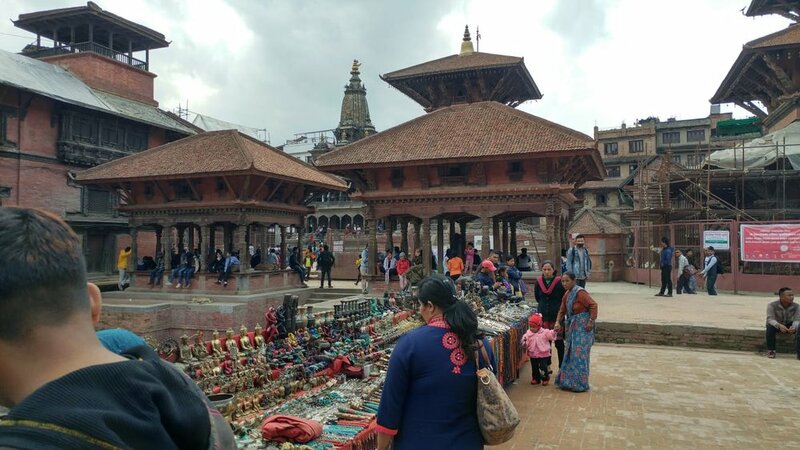 We made it to Nepal!!! A short 60+ minute delay on the tarmac in Hong Kong, due to a 'tiny little mechanical issue' with the plane meant that we arrived without incident, a little after 9pm. Let's talk about the rooster who knows his purpose 😉. Between 4 and 5 am he alerted us to the rising sun. 🌞 It was actually a very purposeful reminder to 'remember your purpose'. After lunch the family hopped on motorcycles and scooters and traveled to the ROM Youth Conference. Their purpose was to encourage the youth in their upcoming time of transition into 'college'. The equivalent of our Gr 11 and 12. We both ended up speaking. The main purpose of the talk was to encourage them to ensure their foundation remains the Word of God, with focus scripture of Col 3:15-17 and Matt 7:13. Oh, ballons. The children at the BK home LOVE ballons. We played balloon toss for at least 2 hours this morning. And soccer. They LOVE soccer. Culture differences and lost in translation. In Canada, when someone is invited to lunch, generally only the invited parties show up. And when you let someone know where you are going, that is not seen as an invition to join. Well, we learnt today that that isn't always the case in Nepal. By our merely telling our host family that we were traveling somewhere for lunch, it was interpreted as being invited....by us! Oh my. We were a little embarassed when we found out! Thankfully our lunch companions were very gracious, 'invited' them to join, and moved on as if it was the norm. Perhaps it is. On a separate note, the pages of scripture came alive today as we passed shop after shop of workers hammering on metal to make countless idols. Thank you for each of your prayers. Sincerely. They are not spoken in vain. We are very grateful. It was an exciting time here in the BK home as we handed out backpacks this afternoon. We're not sure who was more excited, the kids in the home or Connor and Hannah. We also met with an agency to explore a potential partnership with them. 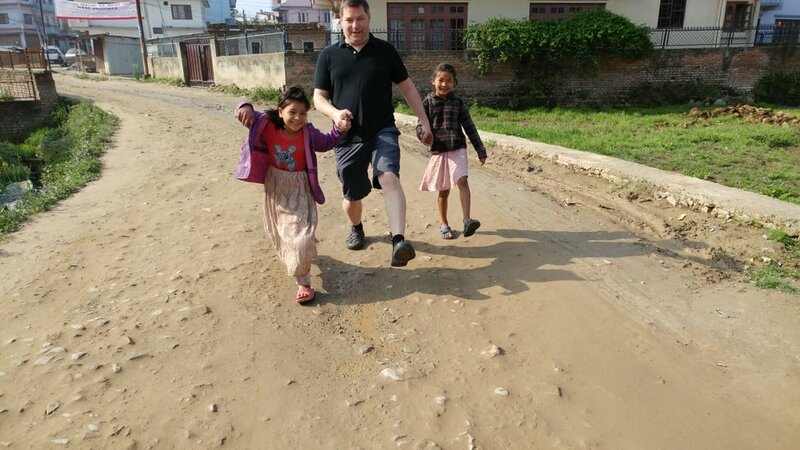 The needs are many here in Nepal and we are only two people. We are both unsure if this is the direction that the Lord would have us pursue but we trust and pray that he will lead and guide us in this. We're feeling uneasy in our tummies as well as dizzy tonight. We intend to meet with ROM tomorrow and discuss partnership opportunities and needs. As such, we would really appreciate your prayers. Both that Todd and I would feel better, and that it stays away from the children. After a day of recuperating from illness (thankyou for praying) our family ventured out to Thamel. 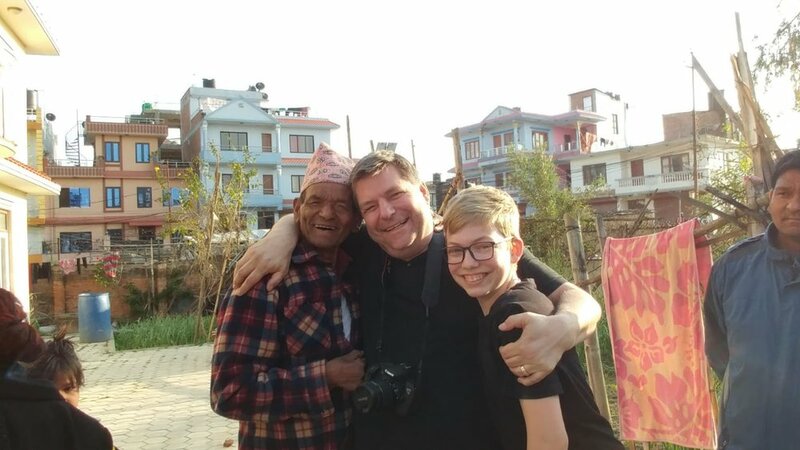 It was an exciting venture, met with a bit of trepidation by our children, as we traveled by public transit without a Nepali guide. 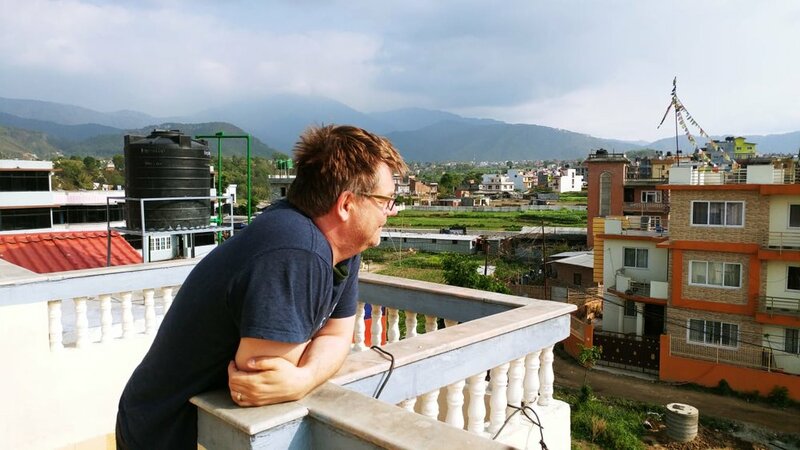 This may seem a simple task, but when everything is new, no landmarks are familiar, signs are in a foreign language, and few speak English, it quickly became a faith filled journey. But, we made it! Praise be to God. 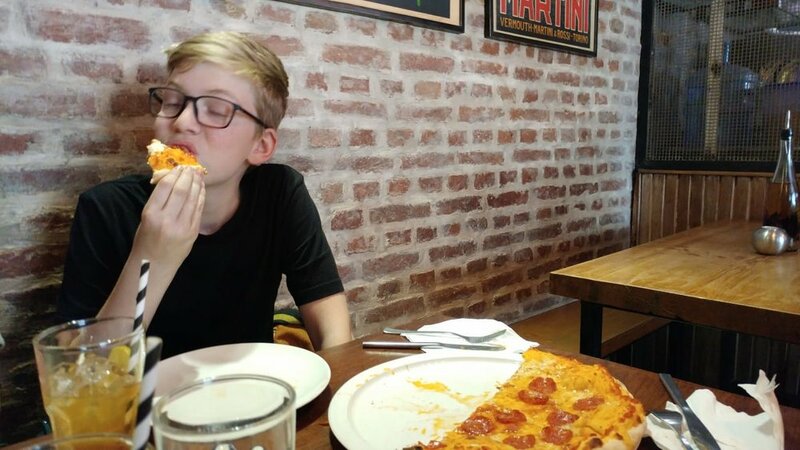 While there, we met with the founders of ROM for a taste of Connors favorite North American cuisine, pizza. After lunch we spoke in depth about their ministry, what their goals are, and how they see us partnering with them. It was a fruitful discussion which left us with much to pray about. Upon returning home, we spent some time playing soccer with the children at the BK home. There is small field just beyond the home where a group of young boys were playing. They noticed that we were playing soccer and asked if we had one to give them. Of course we said yes. They all started cheering and Connor went over to play with them for a bit. Thankyou LCC for making this possible. 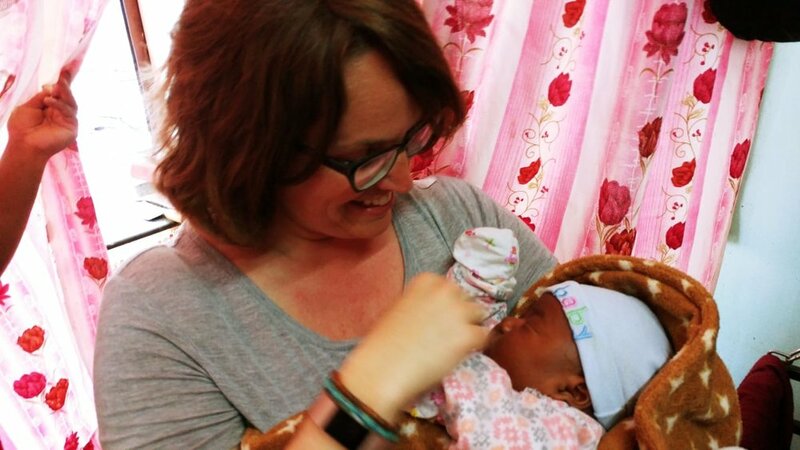 Tomorrow we plan to look at a few homes and visit a potential international school for the children. Also, we have been asked to speak at church this coming Saturday. We continue to appreciate your players. Dhanyabad (thankyou) LCC friends and family. How do you travel to get to church? Our normal in Canada is either a 20 minute calm peaceful walk or 4 minute drive. 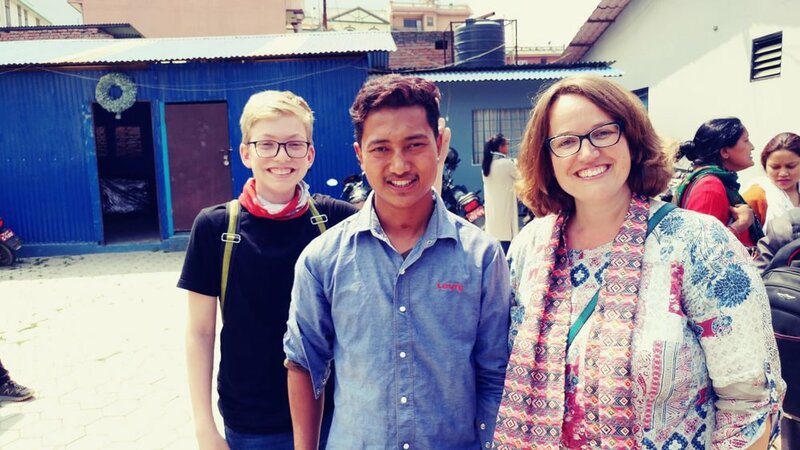 In Nepal, from Rajendras at the BK Children's Home, our journey consisted of a 20 minute bus ride followed by a 15 minute walk, and then another 20 minute bus ride. Dusty, bumpy, sweaty, noisy and cramped. These are a few words that come to mind as I try to describe the actual journey. 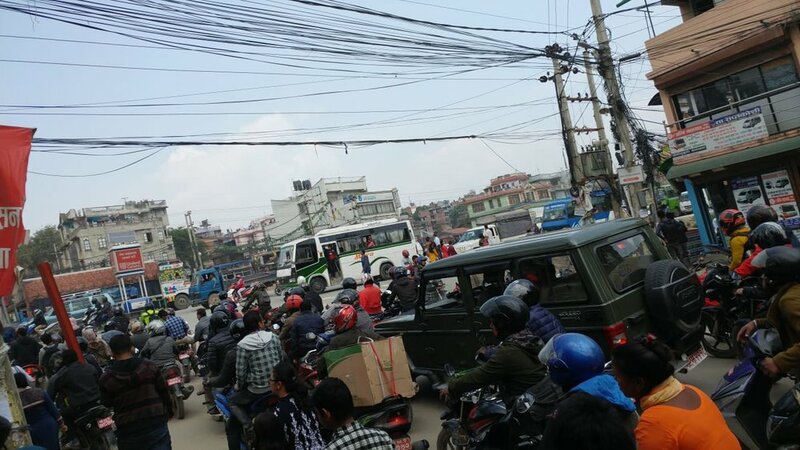 We're not certain who laughed harder; our family as we witnessed Todd literally hanging on to the side of the bus while more people continued to pile on behind him, or the local Nepalis? I believe the pictures will do a fabulous job describing the journey by bus. Upon arrival we were warmly greeted and treated to rich worship. After a time of testimony and the messege, Todd was granted an opportunity to share with the youth. We sat in a circle, sang some more songs and then Todd spoke on the importance of having a solid foundation in the Word of God. 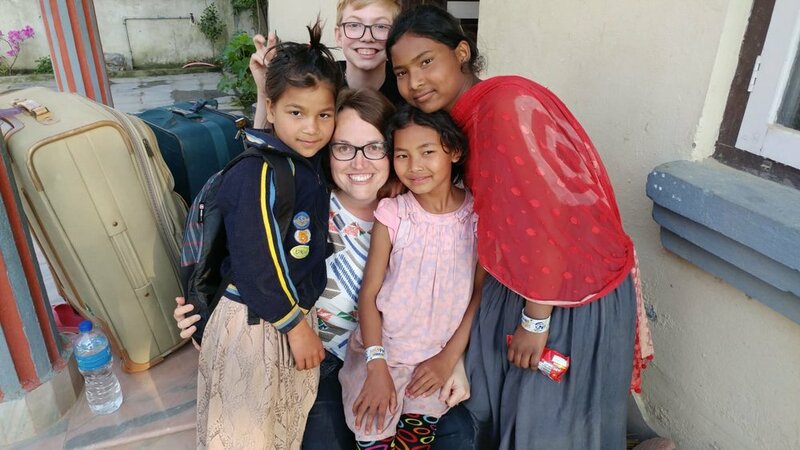 While in Nepal there may always be room for one more on the bus, the Bible is full and complete and lacks nothing. There is not room for one more. Afterwards, we shared a rich afternoon with ROM while we enjoyed fellowship together as well as cooking. 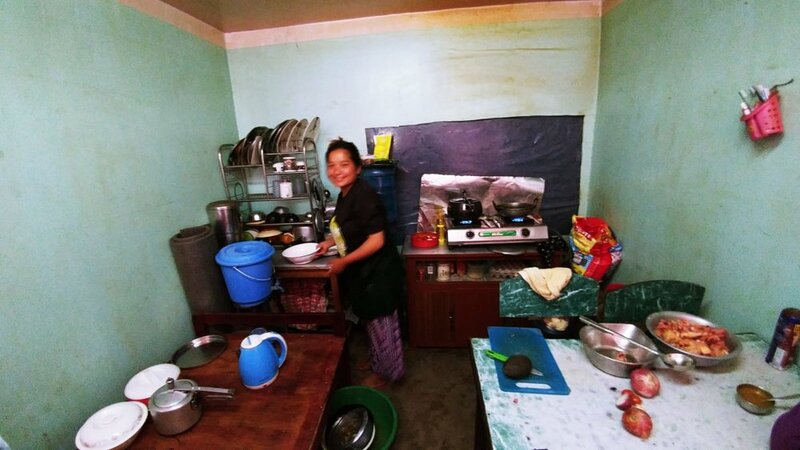 Though Bikash's home is small, it is large in hospitality. Hannah even got to help prepare the meal. Our journey didn't bring us home until after 9pm. 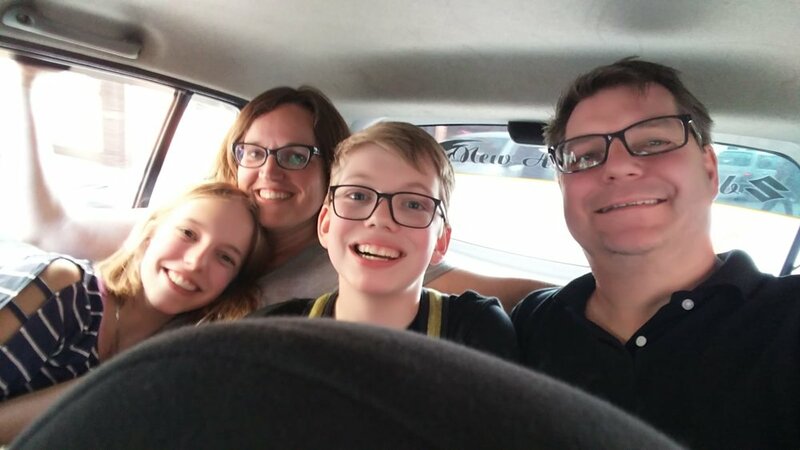 Did you know that 7 people can fit in a taxi built for 4?! 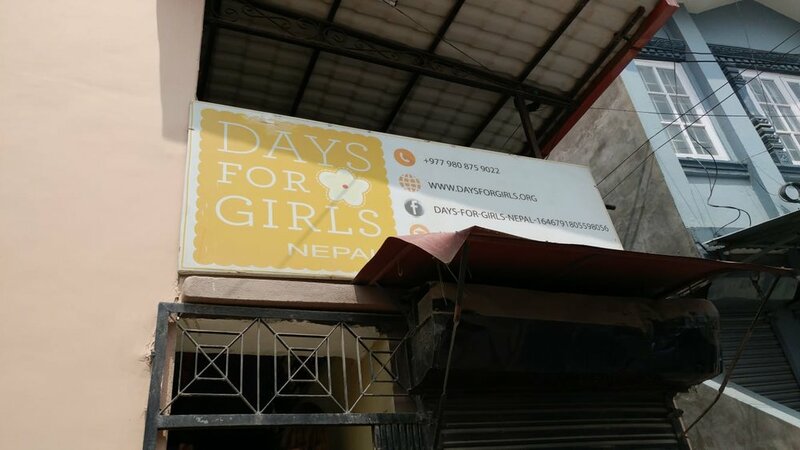 Today we got to check out the Days For Girls Centre in Kathmandu. 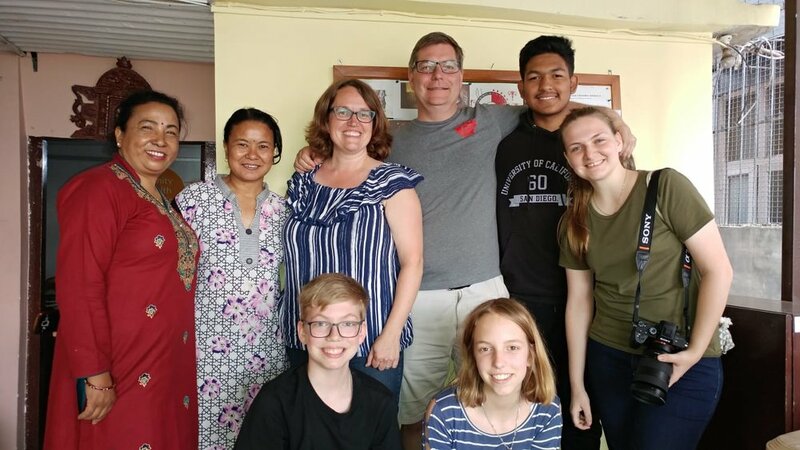 It was quite fascinating, and exciting, to see their office, talk with the team, and discuss the impact DFG is having in Nepal. Bikash, the co-founder of ROM, was able to join us. 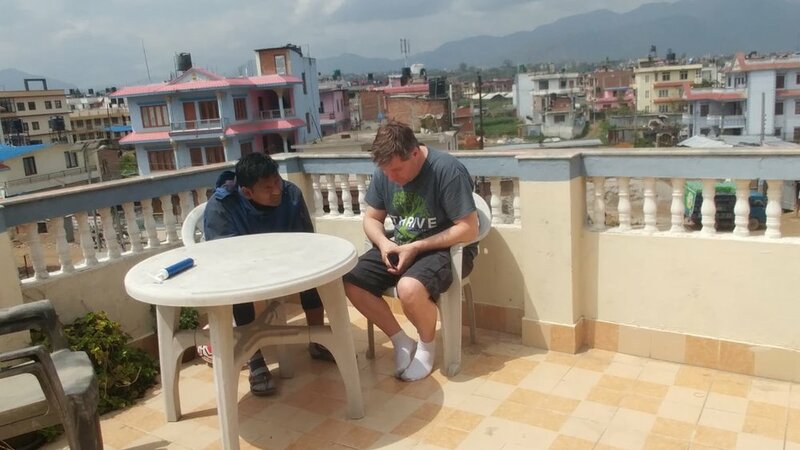 This was a good thing because as Todd and I spoke to the ladies I could see Bikash listening. Afterwards, during lunch, he shared that he now sees partnership potential between ROM and DFG, fasciliated by Team W. They have been praying for an opportunity to partner with a humanitarian organization, enabling them to register ROM with the government, and he feels that this might be it. This is an answer to prayer as we too have been praying about partnerships and what it could look like with ROM amd DFG. In two days we will be heading out to Ghorka. 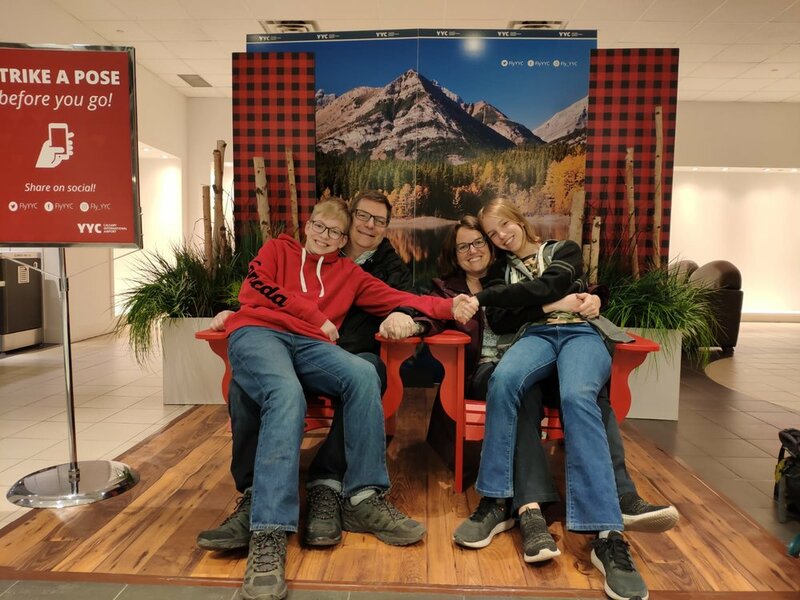 Please pray for our travels, our tummies, and our time while there.